When it comes to keeping your hair shiny and beautiful, it is very important to make sure your hair oil levels are on point. There’s a fine line between dry and oily hair. Too much oil and your hair will be stinky and will stick together. Too dry of hair and it will be coming out, splitting, and almost impossible to control. That’s why I have created a list of top 10 best shampoos for oily hair in 2019. These shampoos use various ingredients to remove the grease and oil from your hair and leave your scalp clean and hydrated. As always, you will probably need to test several of these shampoos to determine which one works best for your hair. But once you’ve found your winner, you will delighted to be able to manipulate your hair how you want it. Without going much further into it, here are the 10 shampoos chosen so you can determine which one will be your best shampoo for oily hair. 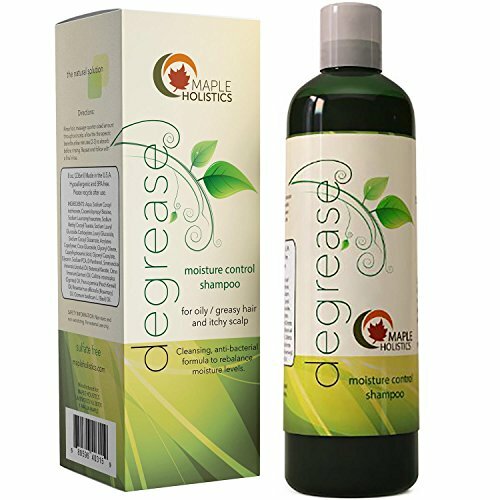 Degrease shampoo by Maple Holistics is one of the most popular shampoos for oily hair on Amazon. Not only does it work to remove grease from your hair, it also helps to stabilize the balance of oils in your hair and scalp for a clean and healthy scalp. In addition, it will also control your dandruff and flaking, if you have any. The reason it does so many things at once is due to the good ingredients it utilizes such as botanical keratin, rosemary, and provitamin B5. 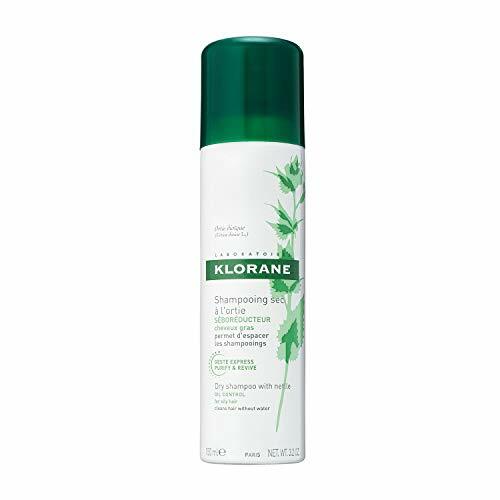 This shampoo also aids in hair growth and is hypoallergenic for those with sensitive skin and allergies. 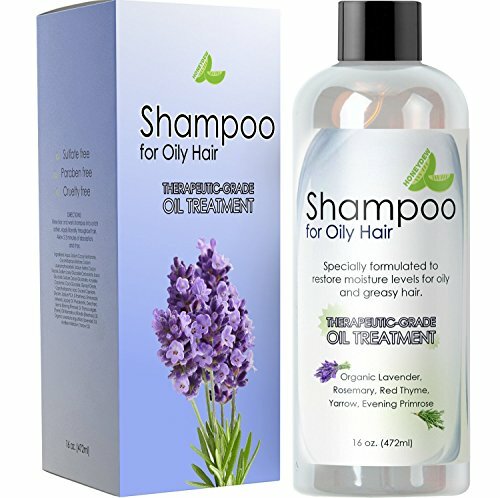 This shampoo is specifically formulated to tackle the problems of oily hair that many individuals have. The way its mechanism works is by providing a synergy of ingredients such as organic lavender, red thyme, evening primrose, rosemary and yarrow in order to provide relief of grease and oils. In addition, this shampoo does not contain any harsh chemicals or sulfates, which is a major plus. If your hair is greasy, give this shampoo a try and let me know how it works for you. Here is another well-rated shampoo that aims to get your oily hair under control. The main ingredient it uses to dissolve excess oil is lemon tea tree oil and lemon peel extract. Once those two ingredients are done doing their job, then you have organic Maca root extract, which will help strengthen and protect your hair. If you thought all of that was wonderful, then wait till you smell this shampoo. It has a delicious fragrance that's not too strong or overpowering, but just the right balance. If you prefer, they also have a fragrance variation. 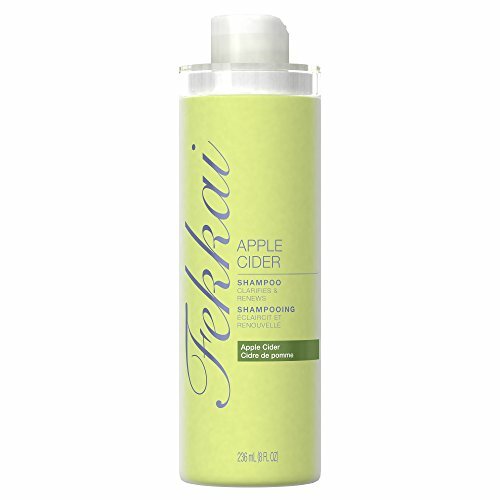 If you were looking to get a shampoo that works well and smells even better, then Fekkai's Apple Cider shampoo might be what you were looking for. It has a fresh apple and pear scent that feels light and fruity, but never annoying and overpowering. It is infused with apple cider and the silicone-free purifying cleanser clears your hair and removes buildup. If your hair is just too messy, greasy, and dirty, then this shampoo should restore it to its original beauty. Neutrogena is a popular brand of cosmetics that has many products you can use for beauty and health. This shampoo is no exception. 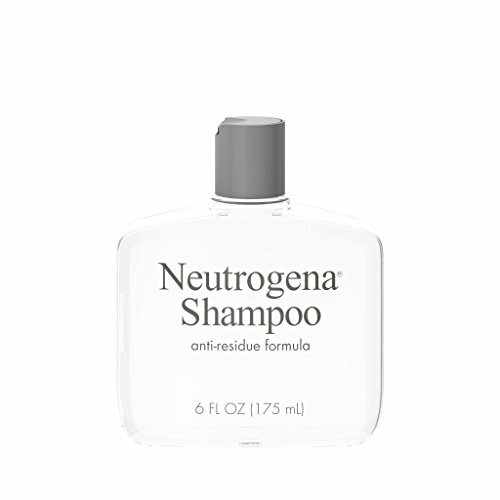 It's one of the most popular Neutrogena shampoos and for a good reason. It helps boost hair volume, removes over 90% of dulling residue within your hair, and is only meant to be used once a week. That means you won't run through this shampoo like you do with all other ones. The best part about it is that it will work for all hair types and will leave its signature fresh and light scent when you're done. Head & Shoulders has been my go-to shampoo for oily hair and dandruff treatment for many years. While there are various Head & Shoulders shampoos that utilize different ingredients, the one that I've found works best for me contains pyrithione zinc. It is pH balanced and keeps your hair very fresh, clean, and hydrated. You actually notice immediate results after the first use, especially if your hair is very oily and greasy. In addition to keeping the grease away, it works wonders to heal and prevent dandruff. As far as dandruff goes, ingredients work differently on everyone, so it is up to you to test and see if pyrithione zinc works best for you. This is one of the most versatile shampoos on this list. It can be used for dry, oily, curly or fine hair. Which pretty much means it applies to majority of people. It has no sulfates or harmful chemicals, so the organic in its name really means organic. 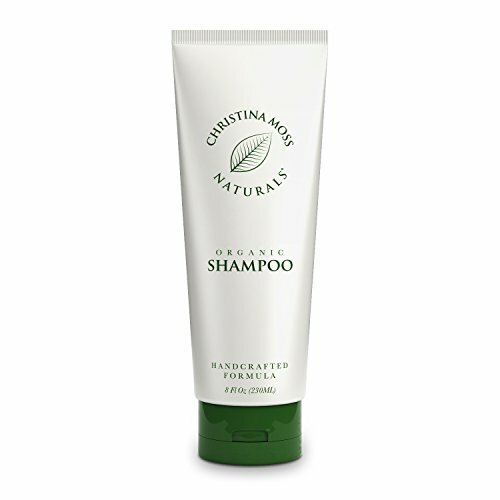 The shampoo itself makes use of several different extracts and essential oils such as coconut oil, olive fruit oil, sunflower seed oil, aloe vera juice, citric acid, Shea butter, and rosemary flower extract. It has a wonderful list of ingredients that work well to clean your hair and scalp nice and clean. It is also especially useful for those with very sensitive skin. Due to this, it can be used as an every day shampoo and won't due any harm if used for extended periods of time. Paul Mitchell is another big brand in the cosmetics industry and this shampoo shows why they're so good. This shampoo will deeply cleanse your oil hair and scalp to leave your hair fresh, shiny and beautiful. It also works with your scalp to minimize oil production over time so hair becomes better and better as each day goes by. This shampoo is made to be used weekly rather than daily, so you can continue using your regular shampoo all the other days. Some of the ingredients include seaweed extract, aloe vera extract, Roman Chamomile flower extract, Jajoba seed extract, rosemary extract, and wheat germ oil. First of all, this is a dry shampoo, which means it is more like a fancy hair spray. This is super useful if you have an extremely oily hair and you need a way to remove that oil between your showers. If you find yourself in the middle of nowhere with no access to the shower, then simply spray on this dry shampoo and watch the oil and greasy disappear from your hair and scalp. The main ingredient that works its magic here is the Nettle extract, which regulates sebum production in the scalp. It also includes corn and rice starch which help clean your hair and natural absorbent microspheres to eliminate dirt and odors. This is another wonderful shampoo that tries to control the extreme oil and grease in your hair without irritating your skin. 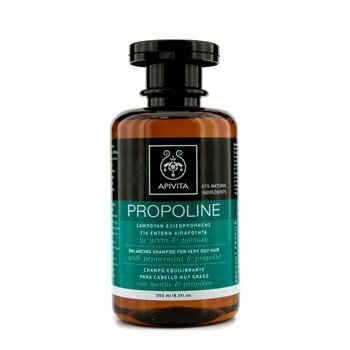 It works by utilizing ingredients such as propolis, nettle, and peppermint. It's similar to the previous shampoo mentioned above, except this one is a real shampoo you use while you shower. It's also supposed to contain the bio cotton protection system, which apparently strengthens hair texture and builds a protective shield against environmental damage, however, I'm not sure of its effectiveness on the last part. After all, it is just a shampoo so it all depends on your daily life and what you put your hair through.